A Review of Special K Protein Shake: Is this Product Genuine? Basically if you want to lose weight, you would lessen your intake of calories. That’s how it typically works and something that we easily understand. Consume fewer calories and you have the greater chance of getting slim. This is the reason why there are countless weight loss products being offered in the market such as the meal replacement shakes. These shakes are rich in proteins, which help dieters reduce their consumption of calories. 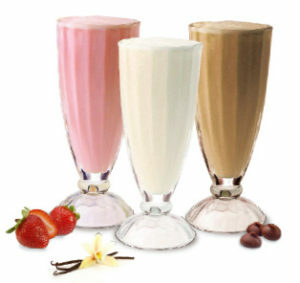 In the present, there is a wide variety of protein shakes that we can choose from. But because of the variety, it becomes more complex to make a selection. This article aims to make the process of choosing simpler by evaluating a popular brand. We will discuss a protein shake called the Special K Protein Shake. If you’re thinking of trying this, read on to know more about this protein shake. The company that developed Special K Protein Shake prides itself on the actuality that this product is perfect for those people who are always on-the-go. Special K Protein Shake is tasty and can surely suffice your cravings in the morning. Aside from providing you with a healthy alternative for breakfast, it also helps you lose weight if used on a regular basis. It comes in 3 flavors: strawberry, vanilla and chocolate. What Special K Protein Shake Says It Can Do? The maker of Special K Protein Shake claims this product has been demonstrated to assist in the weight reduction. This is done by repressing one’s appetite, which then prevents you from consuming too much carbs. If used on a regular basis, this means you have greater chance of losing weight because of regularly avoiding carbs. With the intention of promoting Special K Protein Shake to customers, the company initiated what is called the “Special K Challenge”. This is an online scheme that helps those who are interested in immediately seeing positive effects while using the product. There are recommendations, recipes and tips supplied on this online program that are deemed helpful for those who are sincere in their quest to lose weight. Interestingly, Special K Protein Shake is manufactured by Kellogg’s. This brand is already a household name and is internationally popular for its cereals. Founded in 1906 y W. K. Kellogg, it has been operating in the business for more than a century. Now, it is not only known for its cereals, it is starting to get known for its special K product lines. The products under this category are breakfast bars, crackers, cereals, and shakes. What are the Nutrients in Special K Protein Shake? Special K Protein Shake’s proteins are from whey and soy. Proteins are in-charge of constructing muscles and fixing damaged tissues. Overall, there is 10 grams of proteins in Special K Protein Shake. To our surprise, the sugar in Special K Protein Shake is higher than protein. Its sugar content is 18 grams while as mentioned, protein only has 10. Still, the total caloric amount is 190, which makes it normal. Finally, Special K Protein Shake contains 5 grams of fiber. The role of fiber is to aid in the slowing down of digestion and carrying of fat residues out of the system. How Special K Protein Shake Promotes Weight Loss? Special K Protein Shake promotes weight loss by helping you reduce your caloric consumption. Each day when you use this product, your hunger is controlled while still giving you sufficient nutrients. This, of course, allows you to lessen your calorie consumption. This means that using Special K Protein Shake on a regular basis gives you greater chance of losing weight without the need to exercise laboriously and starve yourself. So far there hasn’t been any study on Special K Protein Shake, at least not that we know of. We are just aware that the product basically operates on the idea that anyone could lose weight through the decrease of carbs and increase of proteins. It was not indicated by the company whether Special K Protein Shake has been approved by the FDA or not. Just bear in mind that Special K Protein Shake is only a packaged good. It’s not a medication or a supplement. Even though there is no FDA approval yet, just consider the fact that Special K Protein Shake was made by Kellogg’s, so it should be safe and efficient. You can purchase Special K Protein Shake on Amazon for $29.94 for a box containing 6 bottles. After a purchase, there is no information indicating whether a money-back guarantee is offered or not. On the other hand, there was an instance before where the company gave out refunds to customers when one of their products was recalled. Therefore, the company is reasonable enough to give refunds when it knows your reason for wanting a refund is justified. What are the Good Things about Special K Protein Shake? What are the Bad Things about Special K Protein Shake? Whey protein is one of the proteins in Special K Protein Shake. However, this component has been known to trigger bloating and cramping, especially if used excessively. Still, it doesn’t mean that you’ll feel bloated when using Special K Protein Shake. Just remember to take the product carefully. You can buy Special K Protein Shake from several supermarkets nationwide. If it’s not present in a nearby area, go to the Kellogg’s website to check for a store selling the product in your area of residence. As stated earlier, the price is $29.94 on Amazon.com for a pack containing six bottles. Overall, Special K Protein Shake has a rating of 4.4 out of 5 on Amazon. There are a total of 200 customer reviews wherein 153 of them gave the product perfect 5 stars. With this, it can be assumed that Special K Protein Shake is a favorite among most people. Special K Protein Shake is a shake developed by Kellogg’s. If your goal is to shed some pounds through the reduction of your caloric consumption, then Special K Protein Shake is the product for you. Vaso Ultra by RAS - Protodexx Matrix Complex Review: Is it the real deal? Mr. Hyde Review: How Harmless and Efficient is this Product?